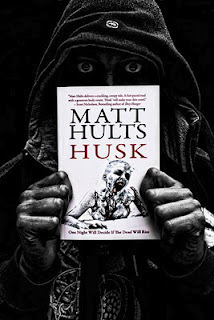 Matt Hults debut novel Husk has been one of Books of the Dead best selling, and best received titles. For those of you that have read this title - and maybe even those that have not - why do you think this is? Matt, are you there? Any thoughts? Because it is well written for starters. It also doesn't cater to the lowest denominator of reader. It is genuinely frightening. And it's not about freaking zombies, in fact, the monster in it is pretty damn unique. I have bought this already but have yet to read it. I keep hearing great things about it. I'm just starting this myself. I've reallly enjoyed Matt's short stories. I read HUSK when it first appeared from BotDP...loved it. Great writing and pace. I just finished this and, WOW! To anyone reading this, do yourself a favor, buy Husk. I can't wait wait for another book from Matt Hults.